Perfect for everyday use, this casual dresser has seven drawers of varying sizes, so you can store anything from large sweaters to smaller items. The wispy white finish of this piece makes it easy to match with any decor, and the clean lines give it a simple radiance. Handles in a brushed nickel finish effortlessly complete the look. 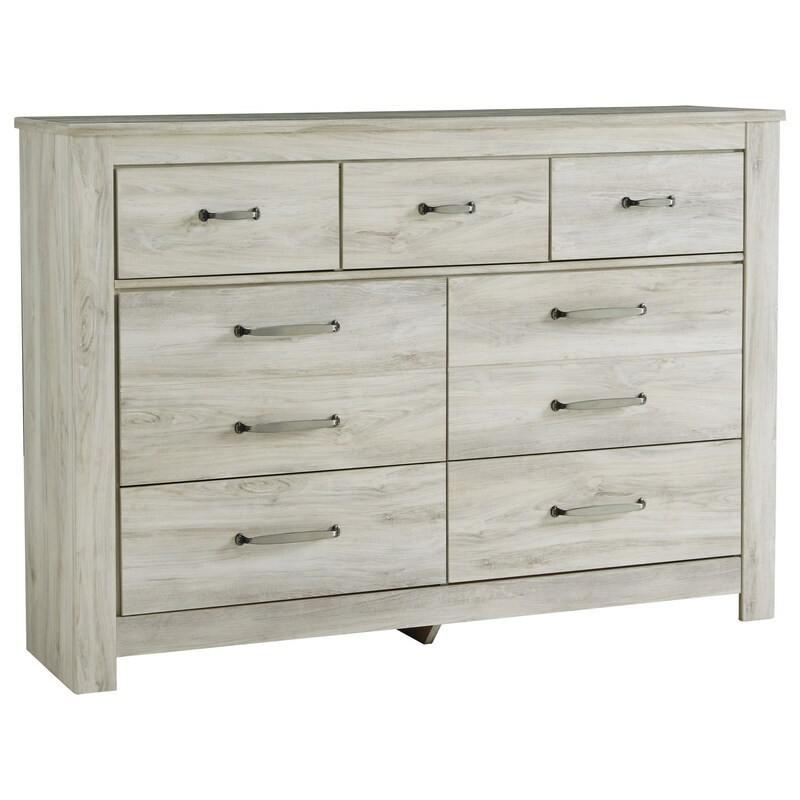 The Bellaby Casual 7 Drawer Dresser by Rooms Collection Three at Rooms Furniture in the Houston, Sugar Land, Katy, Missouri City, Texas area. Product availability may vary. Contact us for the most current availability on this product. Storage Top drawer interior (3): 15.75" x 13.00" x 5.00" Middle drawer interior (2): 24.50" x 13.00" x 9.25" Bottom drawer interior (2): 24.50" x 13.00" x 6.50"
The Bellaby collection is a great option if you are looking for Casual furniture in the Houston, Sugar Land, Katy, Missouri City, Texas area. Browse other items in the Bellaby collection from Rooms Furniture in the Houston, Sugar Land, Katy, Missouri City, Texas area.